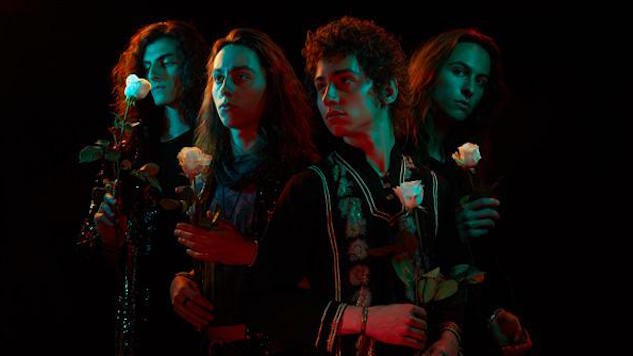 Rising blues-rockers Greta Van Fleet have announced dates for their 2019 “March of the Peaceful Army” world tour in support of their forthcoming debut album, Anthem of the Peaceful Army. The announcement comes less than two years into the Michigan-based four-piece’s professional career, though that time has been packed with activity from its start. After releasing their debut single, “Highway Tune,” in March of 2017, the band spent the rest of their first year touring North America and Europe for a slew of shows, many of which sold out. The upcoming tour brings another first for the band: touring Australia and New Zealand for the first time. Anthem of the Peaceful Army is scheduled for release on Oct. 19 on Lava/Republic Records. For more information regarding the album and tour, check out the band’s website. Though the current lineup is spread across the first six months of 2019, even more dates are expected to be added. Check out the latest single from the album, “Anthem,” below and find the current lineup of tour dates further down. For more Greta Van Fleet content, revisit Paste’s record-shopping feature on the young rockers.